If you are on a weight loss journey, an essential tool to use to track your progress is a scale. Measuring your weight allows you to compare your current weight to your future weight loss. For a great scale that you can use in a clinic or at home, we offer the Baseline® Body Fat Scale. The Baseline® Body Fat Scale measures weight, body fat and body hydration percentage. It also has an 8-person memory for you to record your initial results to compare to past and future results. With the standard weight function, you can accurately measure your weight over time. Concurrently, you can use this scale to calculate your body fat percentage. According to an article from active.com, for men an acceptable body fat percentage to have is around 25-31%. For women this number is 18-25%. Monitoring your weight loss along with your body fat percentage is a good way to keep your body balanced. It is also good to keep in mind as you exercise and lose weight, you will most likely gain muscle. With more muscle your body will retain more water as muscle is made up of 70% water and 20% body fat. The Baseline® Body Fat Scale can help you measure this body hydration percentage level so can healthily lose weight, gain muscle and stay hydrated. The Baseline® Body Fat Scale is great to have at home or at the office. It is portable enough to be easily transported and small enough to be properly stored away. 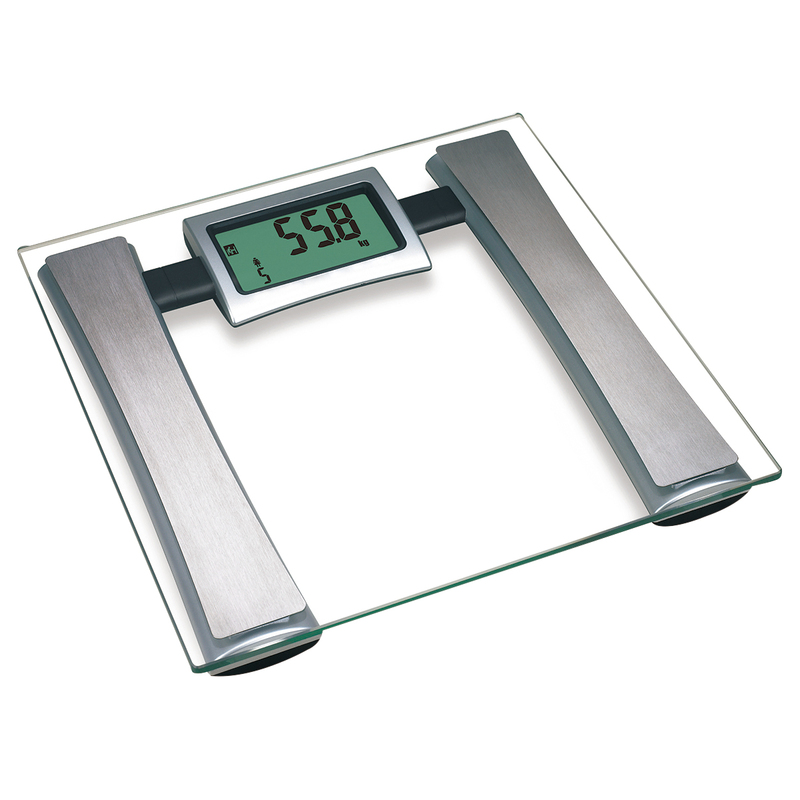 This tempered glass, digital scale is very accurate and reliable. To see if the Baseline Scale is right for you and your goals, please consult your specialist before use. To check out the Baseline® Body Fat Scale, click here.